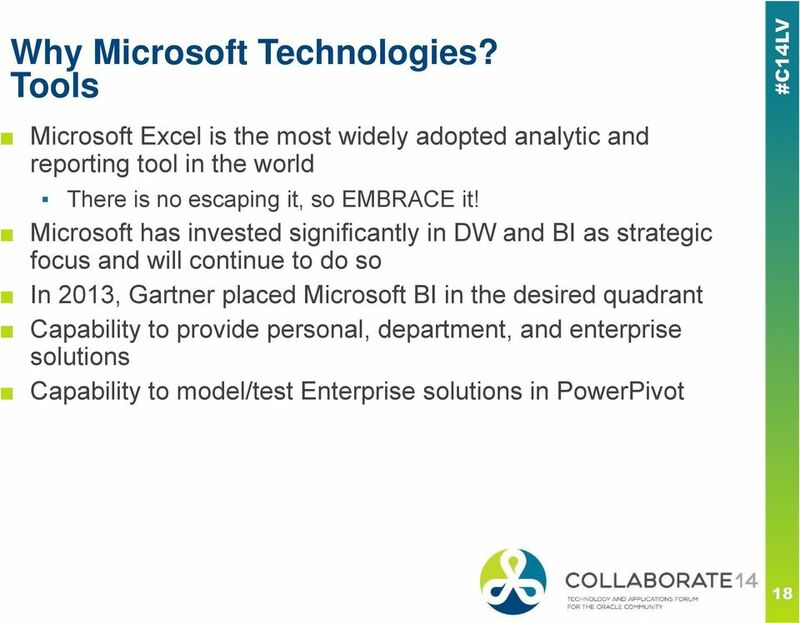 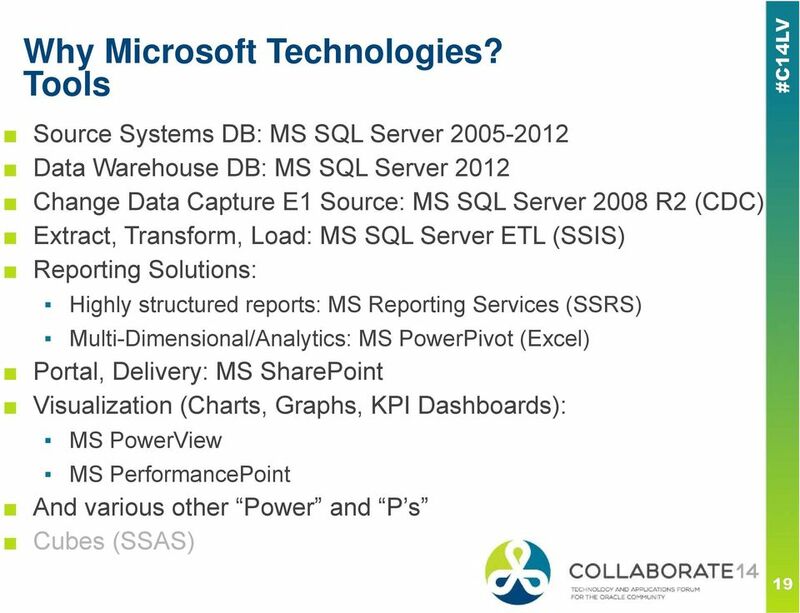 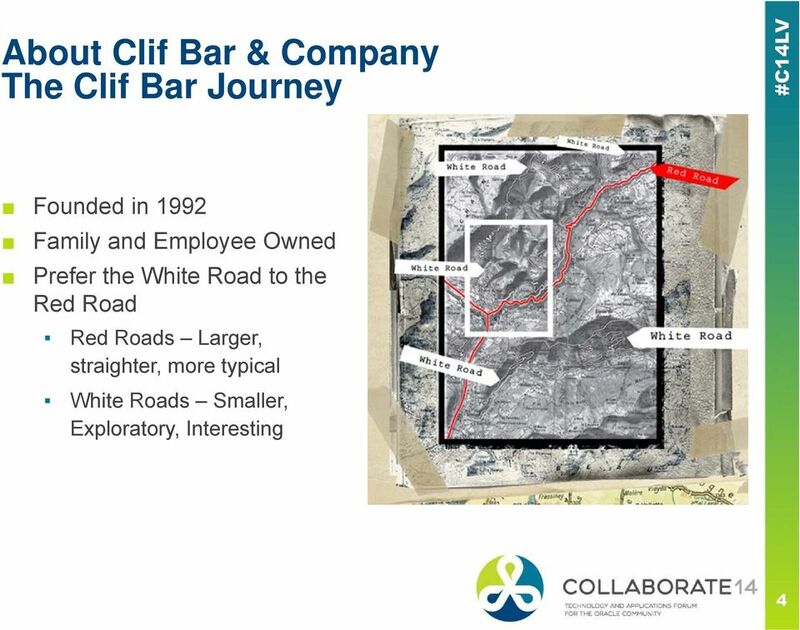 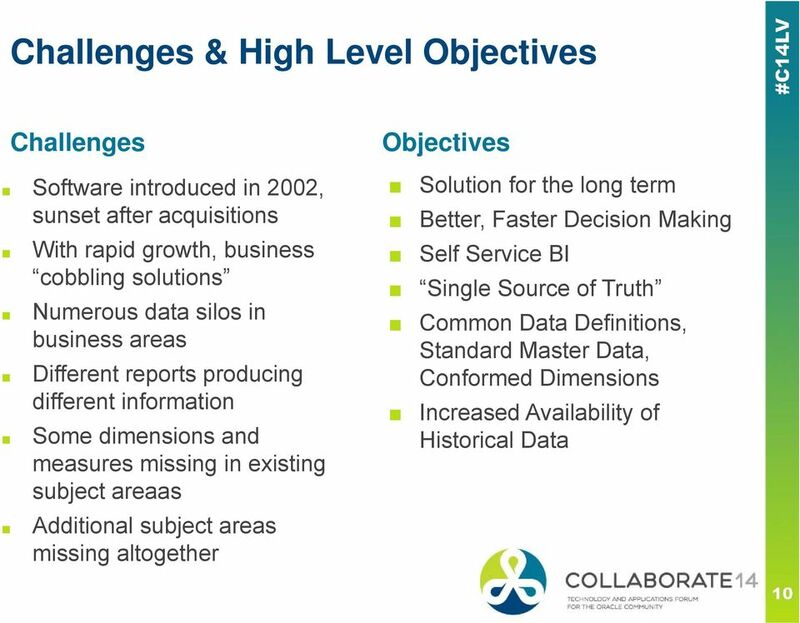 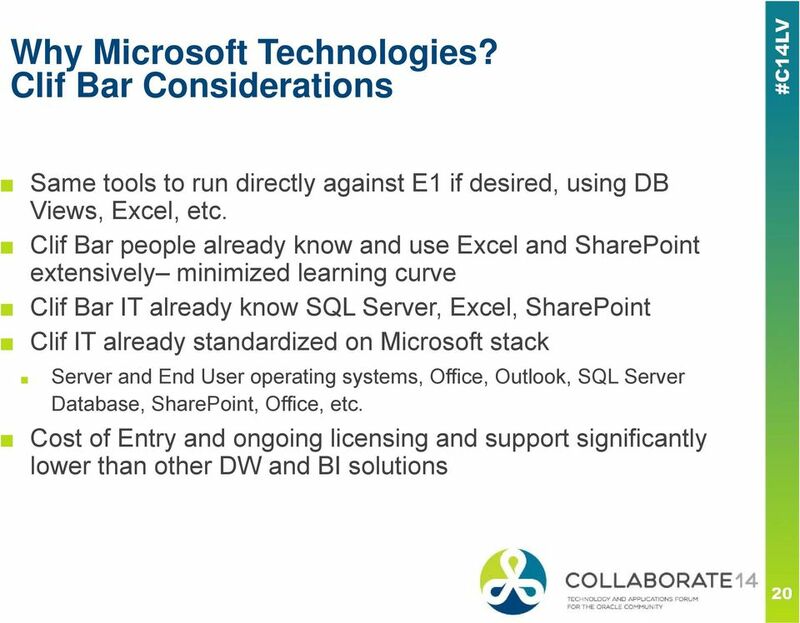 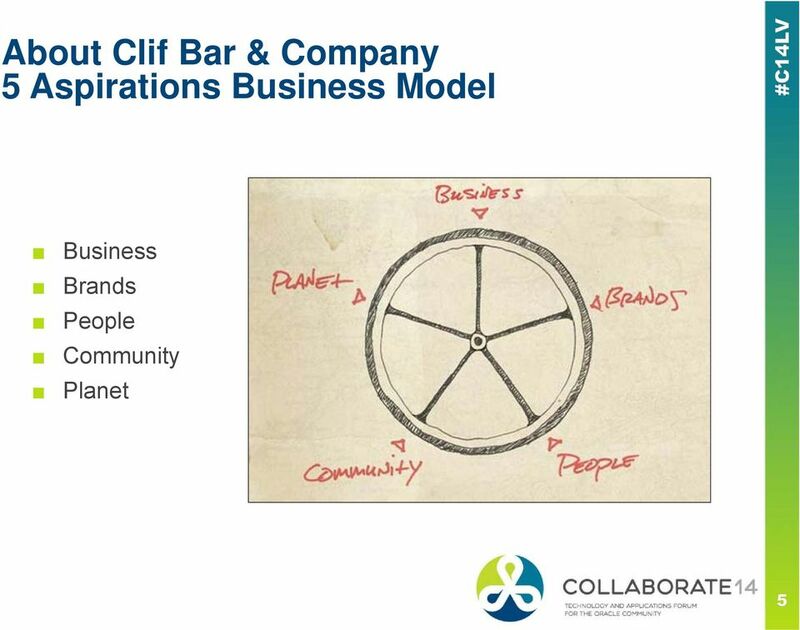 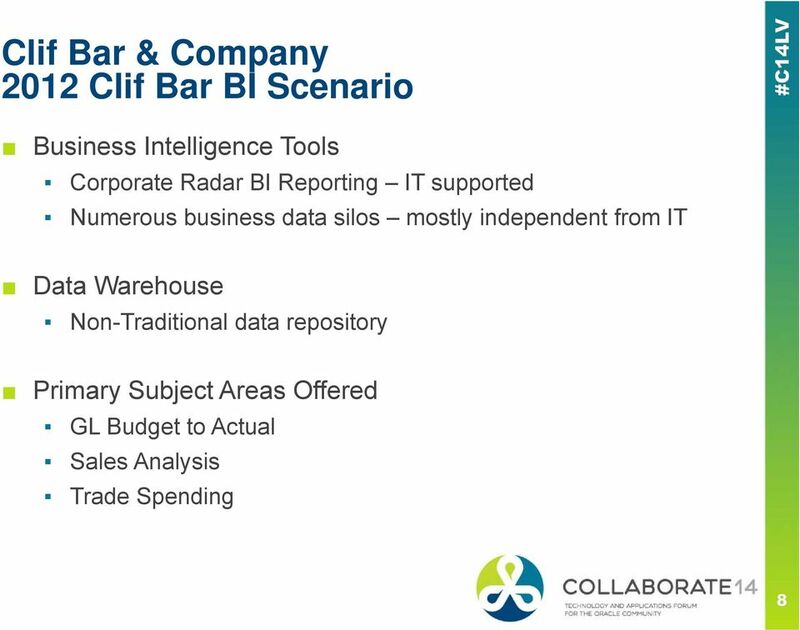 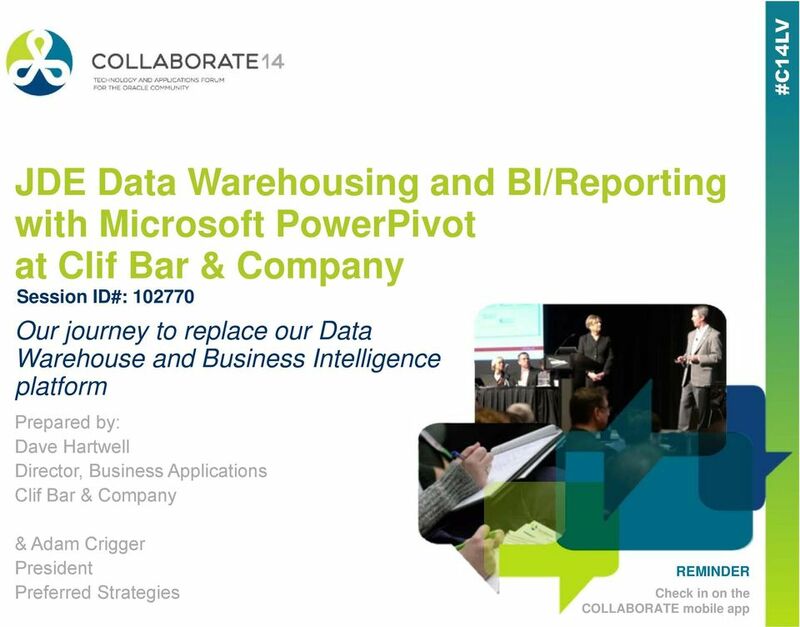 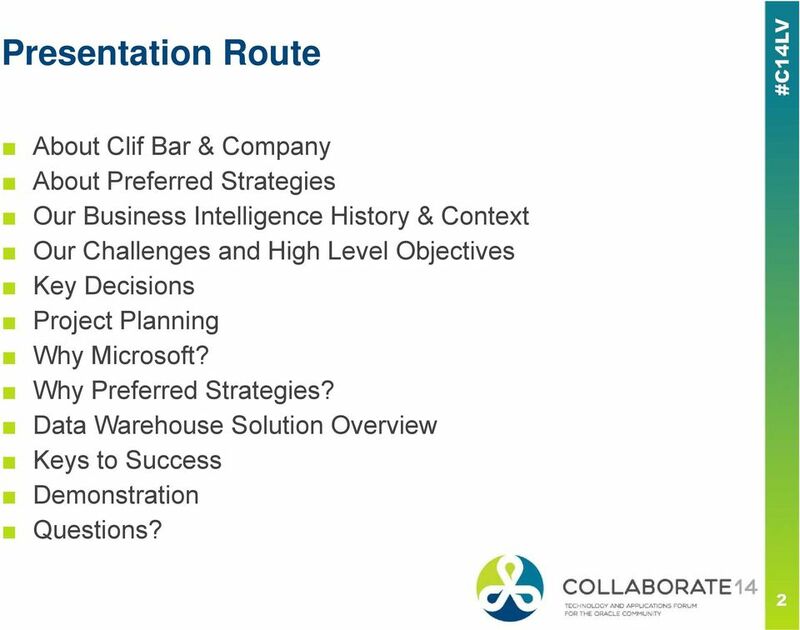 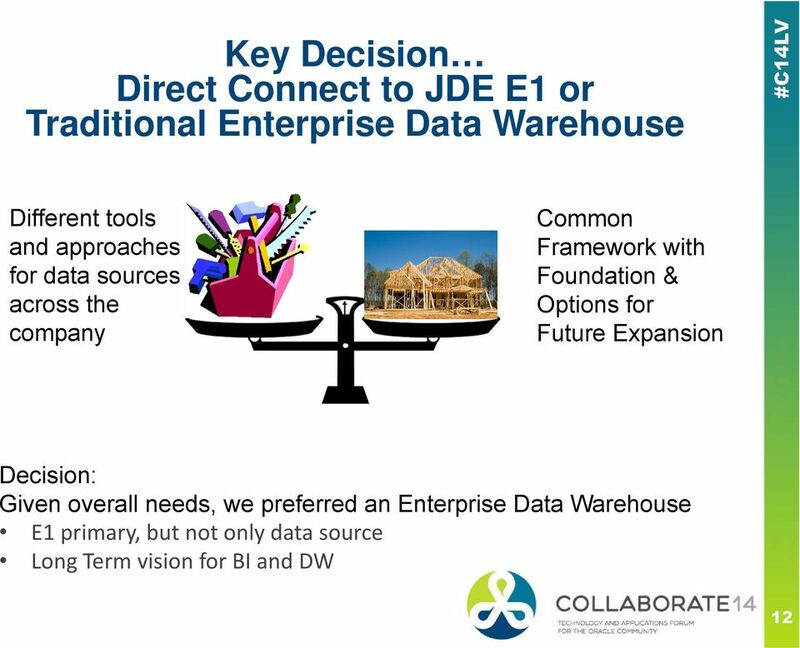 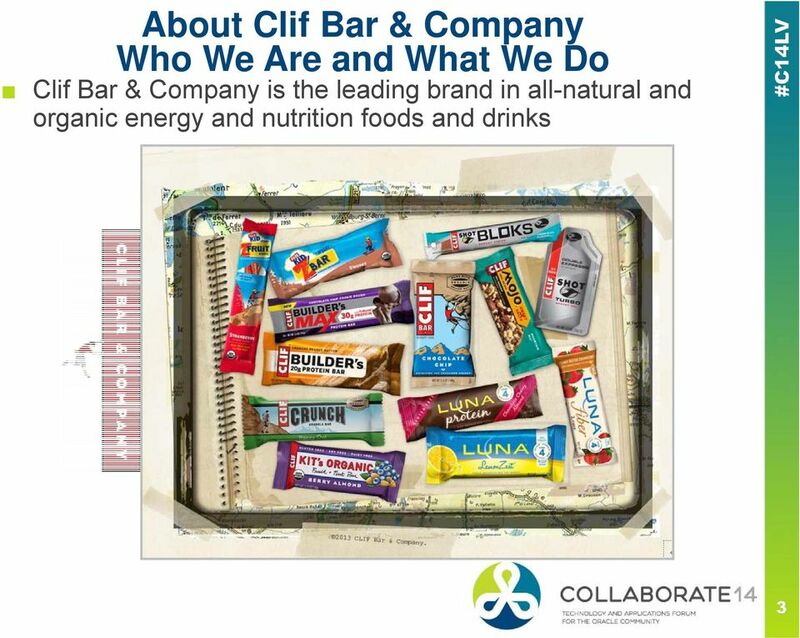 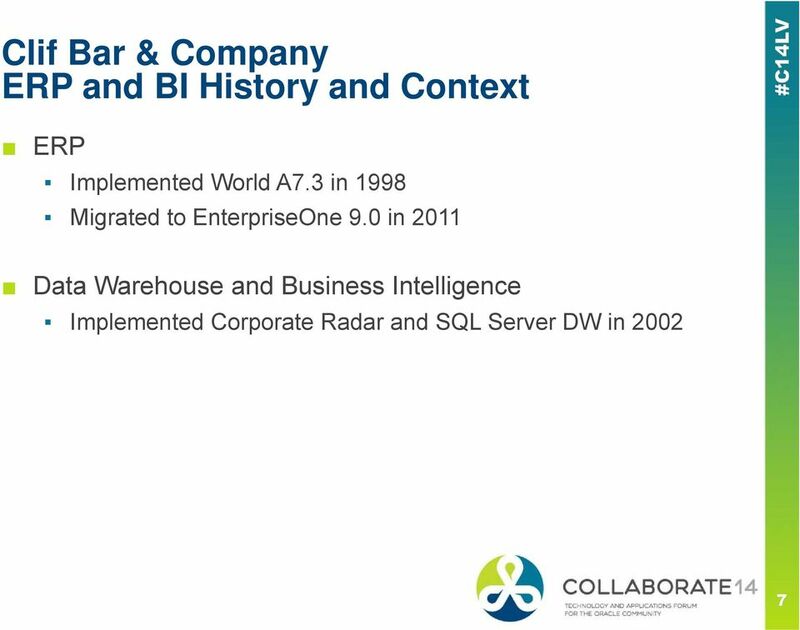 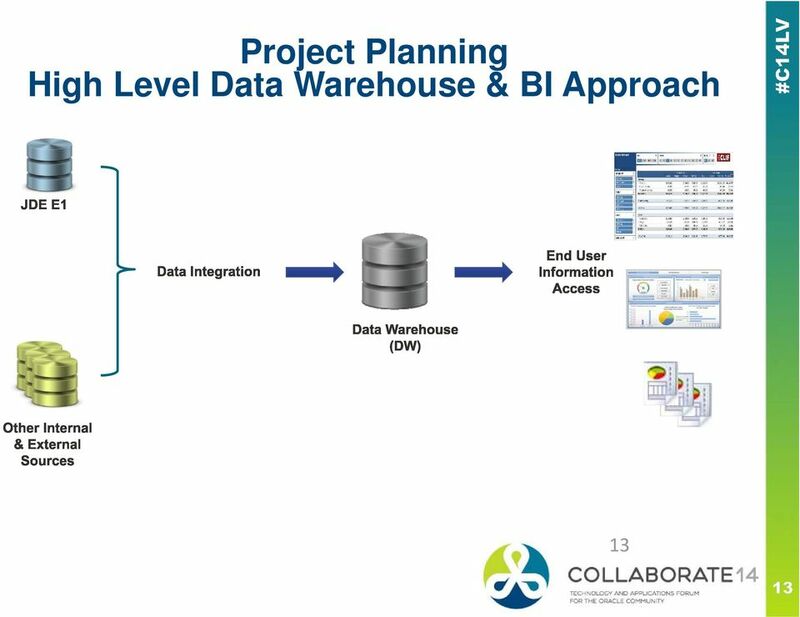 Download "JDE Data Warehousing and BI/Reporting with Microsoft PowerPivot at Clif Bar & Company Session ID#: 102770"
2 Presentation Route About Clif Bar & Company About Preferred Strategies Our Business Intelligence History & Context Our Challenges and High Level Objectives Key Decisions Project Planning Why Microsoft? 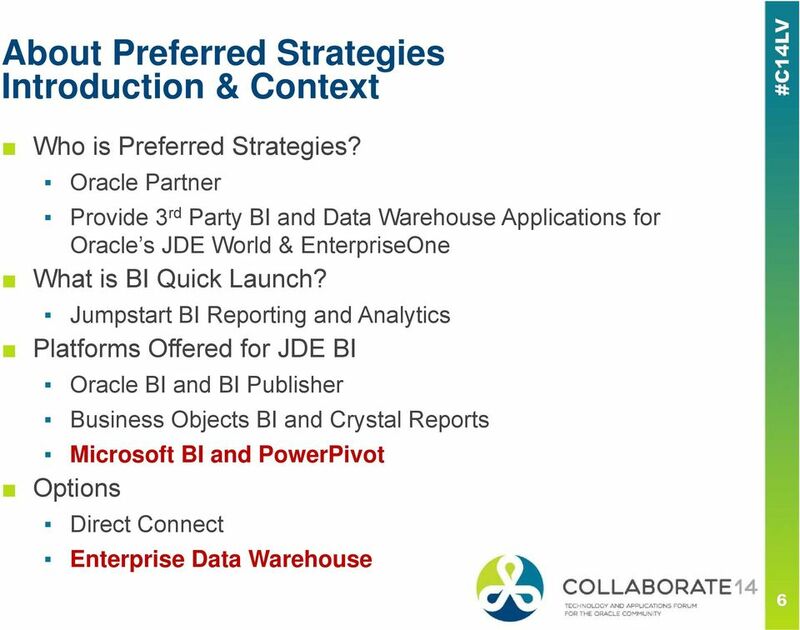 Why Preferred Strategies? 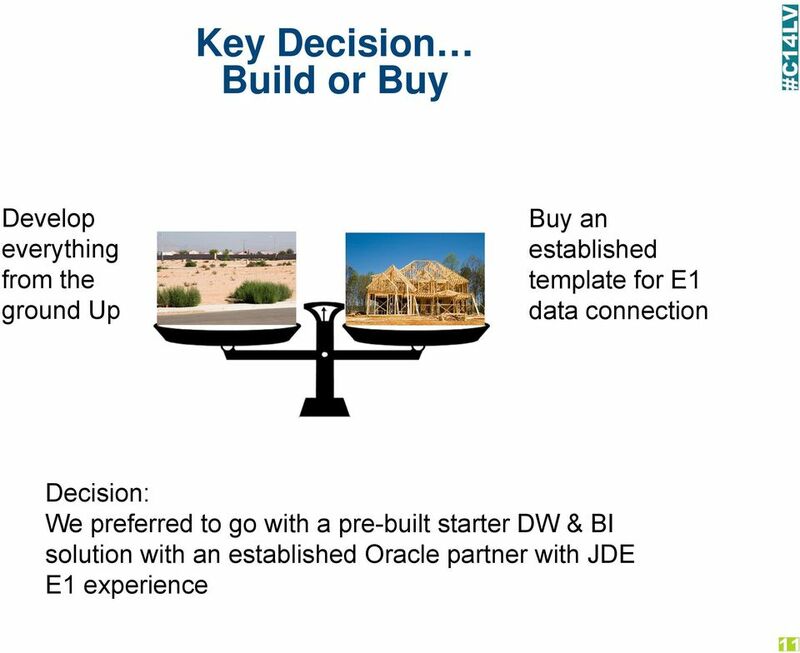 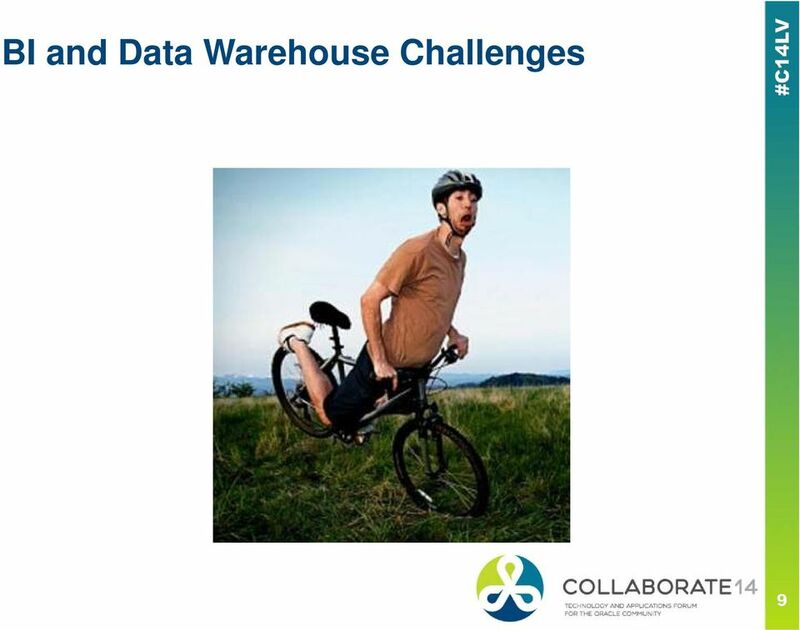 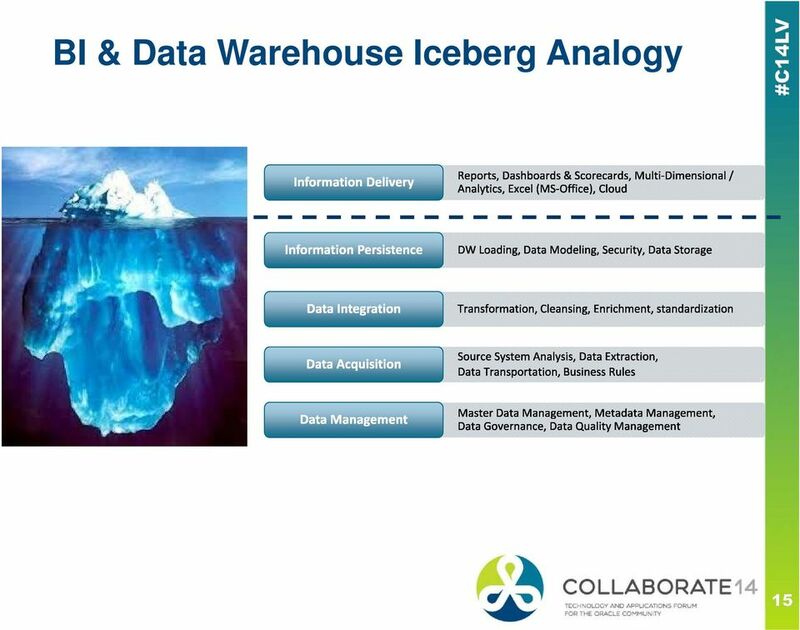 Data Warehouse Solution Overview Keys to Success Demonstration Questions? 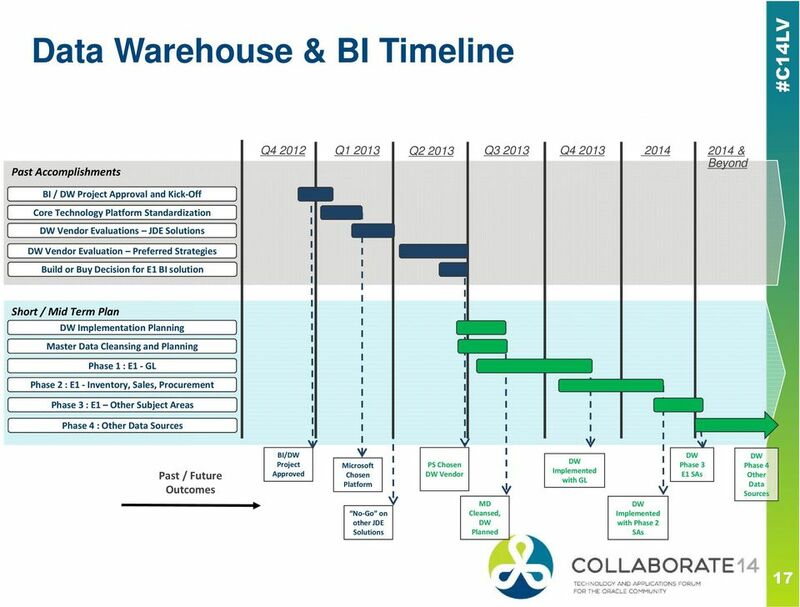 16 The Road to overhaul our BI and DW End of 2012, initial budget and proposed plan for 2013 Formal BI & DW Strategic Analysis and Plan Solution Evaluation technologies and JDE partners Software Acquisition Plan Implementation and Initiate build out What actually happened in 2013! 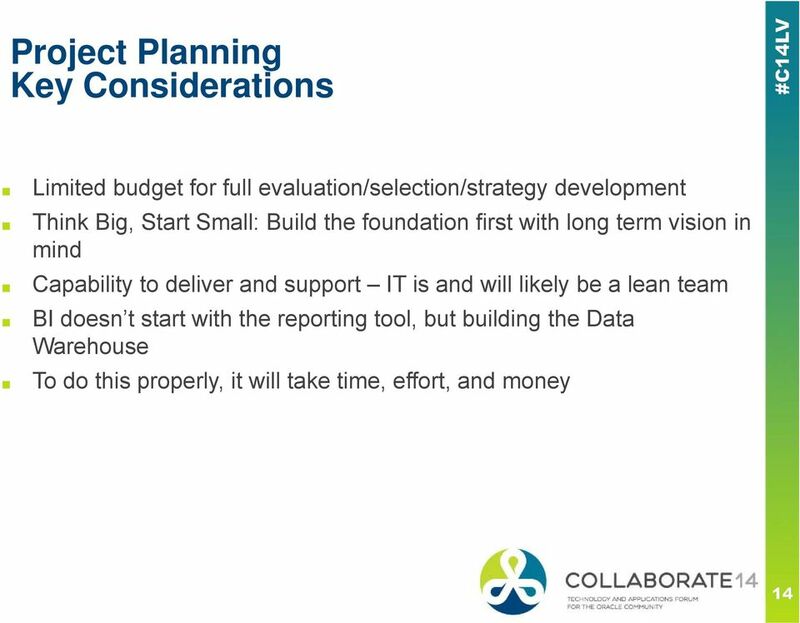 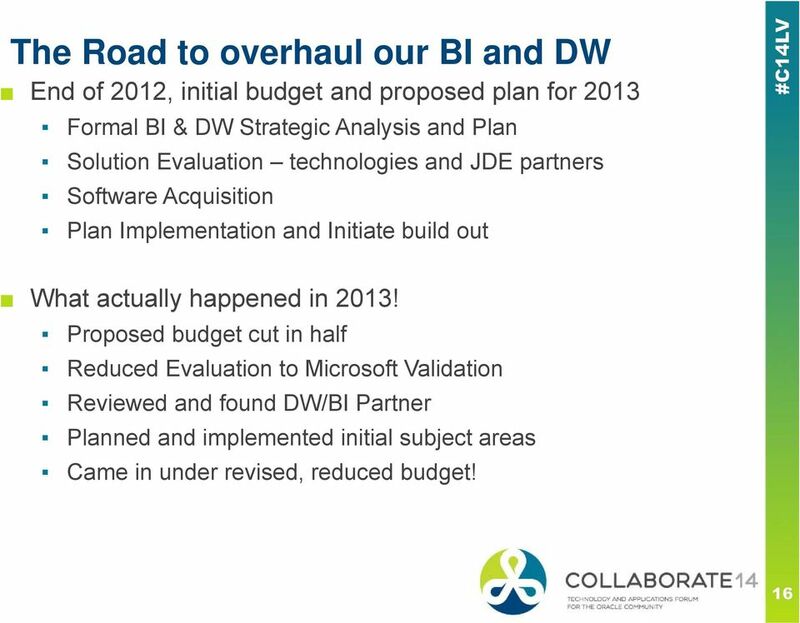 Proposed budget cut in half Reduced Evaluation to Microsoft Validation Reviewed and found DW/BI Partner Planned and implemented initial subject areas Came in under revised, reduced budget!